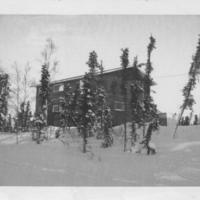 The photo shows another voew of the Frost House in Old Crow, but this time the photo is partly whited out. 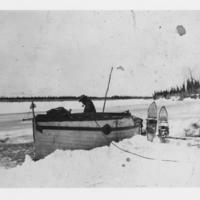 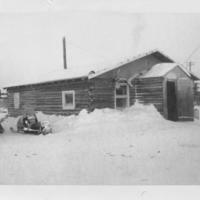 The photo shows the Frost House in Old Crow in the winter time. 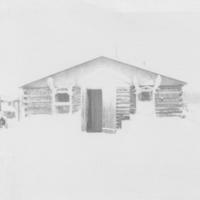 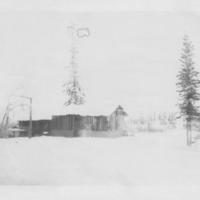 The photo shows a house or a cabin in the winter with a couple of trees around it. 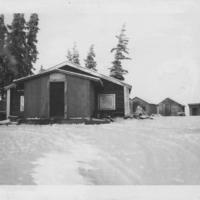 The photo shows a couple of cabins up on a hill covered in snow. 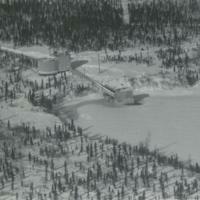 The image shows an aerial view of the water pump station for inuvik so that the town can have fresh water in the summer months. 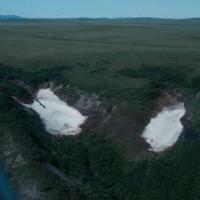 The image shows an aerial view of Coal Mine Lake area. 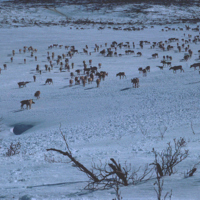 A Reindeer herd wondering around on the frozen tundra by a lake. 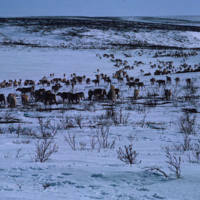 A Reindeer herb wondering around. 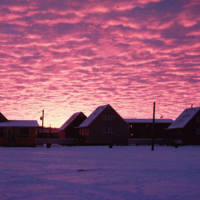 A beautiful sunset behind houses in the dead of winter with clouds overlooking the houses in Inuvik, NT. 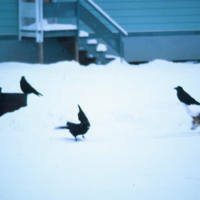 Ravens looking for food and a dog investigating the ravens. 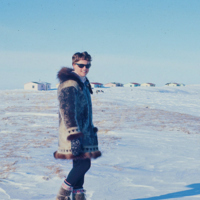 A Radiology Technician standing in traditional clothing in front of houses with a clear sky. 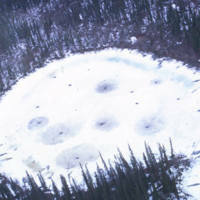 Aerial photograph of a lake with muskrat pushups. 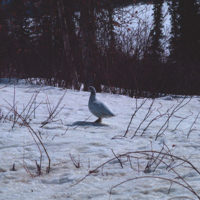 A photograph of a ptarmigan in the woods. 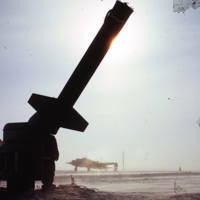 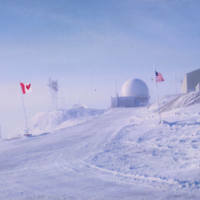 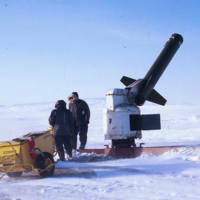 A photograph of the North Warning System, a shared cooperation between Canada and the United States at Cape Parry. 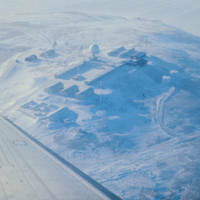 A aerial photograph of the North Warning System at Cape Parry. 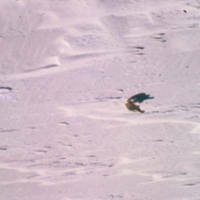 A polar bear running in some direction with its shadow in tow.